Paternity DNA testing is a type of genetic fingerprinting (or profiling) used to determine if two individuals have a biological parental relationship. They constitute genetic proof that a man is the biological father of the specific individual. Alternatively, they can also be used to establish a potential grandpaternal connection. Using DNA to confirm or exclude paternal biological relationships has replaced older, unreliable methods that employed blood group typing or analyzed various enzymes and proteins. Keep reading this guide to learn all there is about modern paternity DNA testing solutions. A paternity test involves taking DNA samples from both the potential father and the child. This can be done at home or in a certified facility (hospital, healthcare clinic…). If you order an at-home paternity test, you’ll have to collect the samples yourself and mail them back to the lab for further processing. If you opt to do it in a facility, a professional (doctor, nurse or a lab technician) will collect the required samples for you and send them back to your chosen testing provider. 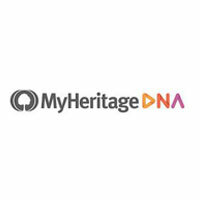 Note that the only difference between at-home DNA tests and those performed at a draw center lies in the sample collection method itself. Apart from this, they are virtually identical. The sample processing is performed in a specialized lab in both cases and the results feature the same level of accuracy. 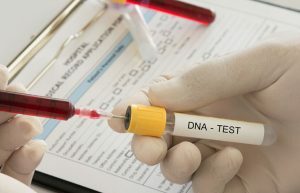 In other words, the myth that at-home DNA paternity tests are somehow less accurate than those done at clinics and other facilities simply doesn’t stand. After reaching the lab, DNA samples are compared, generally using one of two methods. The first method is Polymerase Chain Reaction (PCR), a recently developed method of analyzing DNA. PCR offers quick results, returning answers within a few days. In addition, PCR requires only a small amount of DNA sample, making it compatible with the less invasive cheek swab. The other commonly used method of DNA analysis is Restriction Fragment Length Polymorphism or RFLP. RFLP has been the method of choice for laboratories for years, offering a higher degree of accuracy than PCR. RFLP tests a larger sample of DNA, so it is generally used with a blood sample. The drawback of RFLP is that results take longer to obtain, up to two weeks. As for the results, every paternity DNA test will provide you with what we call the “probability of parentage.” Modern tests feature 99% accuracy when confirming a paternal relationship and 100% accuracy when excluding it. Note that every person in the world has a unique set of genes, which makes paternity testing so accurate (or even possible). However, there are rare individuals we call “chimeras” who can have two or more sets of genes, which can lead to false negative results. Most DNA tests today are done through collected samples of blood, saliva or buccal cells. Buccal cells and saliva can be collected via cheek swabs or collection containers, respectively. It is very important to note that DNA is exactly the same throughout our bodies, so blood and saliva provide equally accurate results. Keep in mind, however, that blood processing is mostly done for the purposes of prenatal paternity tests. Frequently used items such as toothbrush, cigarette butts, chewing gums, and others. “Regular” paternity DNA test – The samples are compared searching for common genetic “fingerprints.” The test is 99.99% accurate. The mother can participate too, which makes the test much easier and quicker, but her presence is not required or necessary. Invasive prenatal paternity test – There are two ways to perform this type of DNA testing, including CVS (chorionic villus sampling) and amniocentesis. CVS retrieves placental tissue (chorionic villus) in either the transabdominal or transcervical manner. Amniocentesis extracts amniotic fluid via a needle inserted into the future mother’s stomach. These procedures are extremely accurate, but they increase the risk of miscarriage. Non-invasive prenatal paternity test – As early as 8 weeks into the pregnancy, the baby’s DNA starts flowing freely into the mother’s bloodstream. This DNA can be harvested and analyzed without any dangers for the fetus or potential miscarriage risk. All of the tests yield results rather quickly, usually within 2-3 work days. When speaking of legal and non-legal paternity DNA tests, the main difference is not in the legality of the test itself but rather whether it can be used as a legally binding document or not. If you need proof of paternity for a court appointment, immigration scenario, child support or similar instances, you’ll have to take the legal route. This means you’ll have to do the test in a certified institution such as a hospital, health department or medical office. The non-legal variation, which is also called “the curiosity test,” doesn’t bear legal consequences and the sample can be collected in the privacy of your home. Legal tests are always more expensive, starting at about 300$. Non-legal testing starts at around 150$. Establishing paternity is very important for a child. Socially and emotionally, it is beneficial for a child to know who his or her biological father is, even if that father is not present. Financially, establishing paternity safeguards the child’s legal rights, ensuring his or her eligibility for any child support, social security benefits, veteran’s benefits, medical insurance or inheritance that he or she might be entitled to from his or her father. Additionally, it may be medically necessary to know about a child’s genetic history in order to quickly diagnose a genetically inherited disease. Paternity DNA testing is currently the most reliable method of confirming or excluding the father-child biological relationship between two or more individuals. The test can use a wide variety of viable samples, ranging from blood to commonly used items around the house. This is especially useful if the potential father is not present or no longer living. Using genetics to test for paternity has reached an unprecedented level of precision, leaving a very low margin for errors (usually well below 1%). 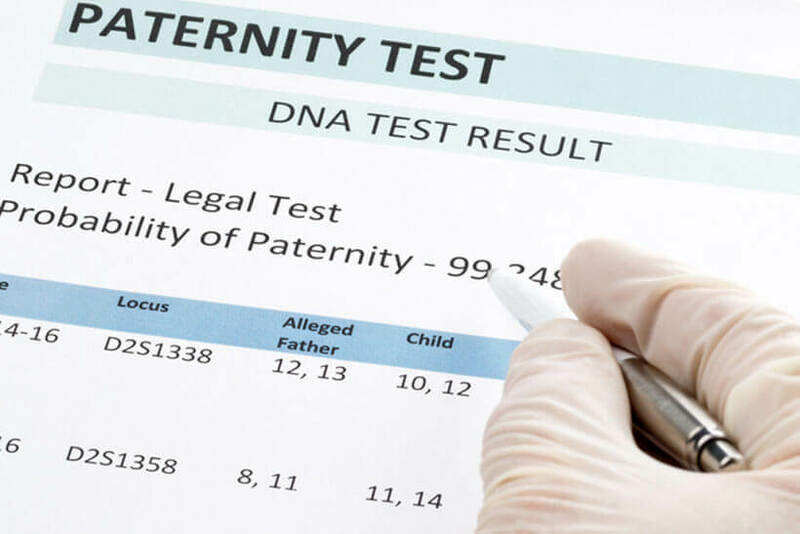 DNA paternity testing has helped users with immigration, child support, forensic investigation, court proceedings, hospital mix-ups, and in vitro fertilization. There are also many cases of adopted children reuniting with their families thanks to genetic tests. We hope we familiarized you with DNA paternity testing enough to allow you to make a fully informed decision when it comes to establishing a potential biological connection with your father or child. The procedures have been perfected throughout the years and we get to live in an age where paternity can be established or excluded with a single drop of blood.